My latest book, Mattie’s Choice is now available. Mattie’s story unfolds over several decades. Her marriage wasn’t a happy one to begin with, but as she made wiser, decisions, it grew better. Mattie had seen her parents in a satisfying marriage and assumed hers would be also. Mattie’s relationship with her husband grew as a result of honoring her faith and commitment to the Lord. If she’d been wiser to begin with, she would have saved herself heartache. Before you marry, take time to know the guy. Does your family have reservations about him? The choices we make in life bring consequences. Let’s look at a lady from Scripture. Ruth is one of my favorite women in the Bible. She became a young widow and eventually remarried. Boaz, her second husband, was familiar to her mother-in-law and well-respected in the community. His actions proved him a good and Godly man. The consequences of Ruth’s choices led to the birth of King David, and later on, Jesus. After the death of her husband and two sons, Ruth’s mother-in-law, Naomi, decided to return from Moab to Bethlehem. Ruth, her daughter-in-law chose to go with her. Here’s a devotional I recently posted on my blog. As we think about Naomi and Ruth taking that forty-mile journey from Moab to Bethlehem, what did they walk and talk about? Ruth was walking into the unknown. Courage joined her faith for the journey. She had no idea that one day she’d be King David’s grandmother. She was clueless that she’d be an ancestor to Jesus. Hang tight. God blesses faith and courage. Don’t you know Ruth was surprised and thrilled when God gave her a husband? Can’t you imagine amazement today as her good deeds continue to follow her? 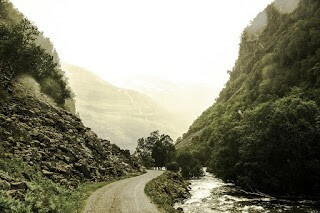 We may not know how wide reaching our influence is until our earthly road takes us to heaven. Our deeds and actions will bring results far into the future that we’ll never see down here. When Ruth began her journey with Naomi to a foreign country, she left her comfort zone. She couldn’t sense the bend around the road. So why did she leave the familiar and branch out into the unknown? The obvious reason is love. Marches for women’s rights hadn’t begun back in those days. Such a thought would never cross a female’s mind. Social Security and Medicare didn’t exist either. Men in the family were to take care of the widows and orphans. Naomi had no husband and no sons. Naomi had a faithful, loving daughter-in-law who shouldered the responsibilities. Ruth was willing to take on duties that should have belonged to her husband. She loved Naomi. Hmmm. She sounds like a modern lady, right? Many women these days are assuming men’s responsibilities. Is that good or bad? Remember, Ruth wouldn’t have stepped in if she’d had a husband. Faith in her new God. Ruth’s previous Moab god, Chemosh, was not real. Through the testimony of Ruth’s new family, Ruth came to believe in the One and Only God. In Ruth 1:16, she tells Naomi, “Your people will be my people and your God my God. Wow! What did Ruth see in this Jewish family that made her want what they had? Would your lifestyle bring someone to your faith? Do you have someone willing to give up parents, country, and privilege to move away with you? The Commitment is Certain. The Decision made. FAITH MOVES FORWARD. NEVER BACKWARD. Hebrews: 11:1 says “Now faith is the substance of things hoped for, the evidence of things not seen.” KJV. Ruth hoped and had faith in God that she and He could take care of Naomi. Even though Ruth couldn’t see around the bend in the road, or what was over the mountains, her faith kept her plodding forward. One step at a time. Doing what she needed to do. Ruth set a good example for us, didn’t she? Take heart dear woman or man of God. Even if you don’t know how to get across the hardship, God already knows. We can see multiple lessons in this story, but the one I want to focus on today is this: These two widows had no idea I’d be talking about them today. They’d be shocked to read their names in Scripture. And they’d be more amazed to how see Ruth is in the genealogy of King David and Jesus. I don’t know if I’m touching lives as I go about my day daily existence, but God knows. Maybe one day from on high, I’ll be flabbergasted to see some of the choices I made down here helped to transform a life. I believe if my fictitious Mattie were real, it would be the same with her. Choices, good and bad, make a difference. You don’t know the influence you have either. But like Ruth and Naomi, make the journey. Even if you can’t see the road you’re on. BUT USE A GPS IF YOU HAVE ONE! A native Texan, Gay lives in Fulshear, a small town west of Houston. She loves to travel and engage in artistic ventures. Two videos she produced —The Canadian Rockies, English and Japanese translations, and Psalms from the Mountains, sold well in international markets. Graphic skills kept her busy as a portrait photographer, and for over ten years, she used her imaginative insight in the interior design field. 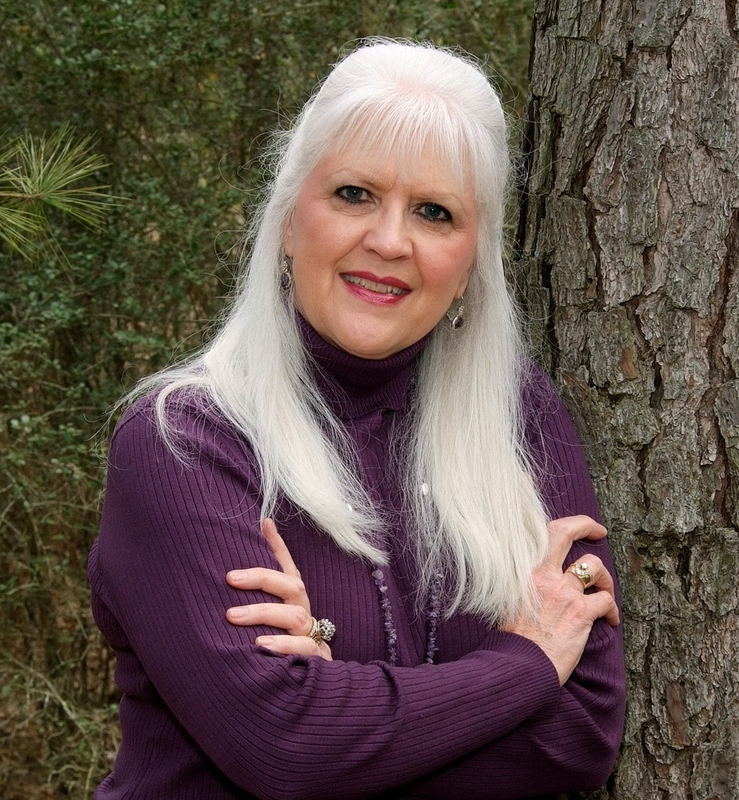 As a pastor’s wife, she writes Faith Features for various church periodicals. She also writes articles for Texas Hill Country. Gay is also a published author for Pelican Book Group in romance and fantasy fiction. Her current series is about a dyslexic angel who comes to earth to help humans, but Sarah, the angel, is more like Lucy Ricardo with humorous antics and bumbles. Her latest books, Mattie’s Choice, and Clue into Kindness are not fantasy and romance. These books are women’s fiction. The stories are about abusive men and women who are addicted to an unhealthy relationship. It’s 1925 in rural Oklahoma. A naïve seventeen-year-old Mattie chooses to elope with Jesse, leaving behind an ideal life with her wealthy and loving family. With hope for a happy future, she vows to stay with her husband through good times or bad, but the wonderful life Mattie dreams of is shattered by Jesse’s abusive nature and his refusal to allow her to see her family. When Jesse’s brother, Joe, brings home his new wife–the vivacious Ella–Mattie believes Ella is living the life Mattie prays to have with Jesse. As the years grow harder and Jesse and Mattie’s growing family struggles to survive The Great Depression, The Dust Bowl and illness, Jesse’s abuse worsens. Life also unravels for Ella and Joe as he begins to abuse his wife. Ella makes the choice that Mattie has never considered. Will Mattie keep her vow to stay with Jesse at the risk of her own life and the life of her children or will she leave him despite the vow? Today’s guest on Inner Source is Gay N. Lewis, the author of Mattie’s Choice. A native Texan, Gay lives in Fulshear, a small town west of Houston. She loves to travel and engage in artistic ventures. Two videos she produced —The Canadian Rockies, English and Japanese translations, and Psalms from the Mountains, sold well in international markets. Graphic skills kept her busy as a portrait photographer, and for over ten years, she used her imaginative insight in the interior design field. Gay, I’m so glad that I have this opportunity to interview you. Mattie’s Choice is an historical novel which deals with a difficult issue, one that has troubled Christians and even divides Christians. I believe that the story is a true example and an outreach for women in a similar situation as Mattie. First of all, let’s get to the heart of the matter. Would you share the issue you deal with in Mattie’s Choice and tell us why you wrote it? With my newest book, Mattie’s Choice, I’ve departed from my sweet, whimsical, fantasy genre about a dyslexic angel. Oh, Sarah is still up to her bumbles and antics, but I’ve put her in time out for a while. Mattie’s Choice is a Christian women’s fiction book about two women married to abusive brothers. This story was inspired by my mother-in-law and an aunt by marriage. The book is not biographical, but many of the events in this book actually happened to these women. Here’s an example. One of Paul’s (hubby) older brothers had to be hospitalized many times. Paul’s dad wouldn’t let his mother be with a five-year-old during multiple surgeries. Hard to believe, right? Most of us ladies today would say, “No way, buster. Out of my way.” On the other hand, too many women live with a controlling man and are forced to do as they say. Choices are not easy in these circumstances. My father-in-law wasn’t physically abusive but emotionally cruel. Paul’s mom wasn’t allowed to visit her twin brother or any family members. She couldn’t go to her dad’s funeral. My mom-in-law was a strong woman who managed to live with this claustrophobic existence and reared eleven children. All of whom are emotionally healthy—none took after their dad’s controlling ways. They are successful and respectable citizens. I’ve met women who live with abusive husbands. I’d hoped this book would give them courage to face up to the danger and find alternative ways to deal with it. I believe we often see ourselves by looking at others. 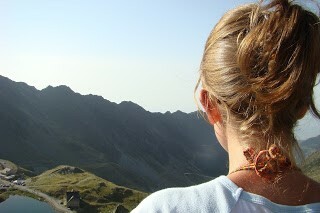 One woman I know was actually awakened from a deep sleep when her husband pulled her from her bed by her hair. Another one was forced to sit up all night and read Scripture. Women shouldn’t feel threatened. Scripture tells husbands to love the wife as Christ loved the church. I hope men will read this book, too, and understand how a woman feels. If he is controlling, I hope he sees the need to change. If a woman is in an unhealthy situation, I hope she’ll get help. It’s out there these days. The title of the novel strikes me every time I hear it. Mattie, like everyone, has choices to make in her life, and the choice she makes reveals her courage and her faith in keeping with her promises, although those promises come at a great cost to her. Your novel actually has two choices. Mattie’s sister-in-law’s way of dealing with the problem is much different and more quickly remedied than Mattie’s. I’m going to step aside, and I’d love for you to provide your thoughts on the choices set before your main character and your secondary character. Thanks for asking that question. The original title of the book was Choices. The story is about the choices all the characters made. Mattie eloped and chose to keep her promises. Jesse, the husband, chose to control his wife’s thoughts and actions. Mattie’s father chose to decline help. Maury, Mattie’s brother, chose to support from afar. Society chose to ignore a woman’s circumstances. Joe, Ella’s husband, chose alcohol. Ella chose to stand up to her man. Pelican Book Group, my publisher, already had a book titled Choices. My title had to be changed, and I chose Mattie’s Choice since she is the central character. What would you tell someone who is embroiled in a situation such as the one that Mattie faces? Get help. Leave. Protect yourself and your children. Secret shelters exist today where abusive men can’t find you. The best possible scenario is to avoid a marriage with a controlling or abusive man. Find out about him. Hire a detective if necessary. What are his parents like? How does he treat others? If investigation pulls up nothing alarming, and a fearful situation emerges, get out as quickly as possible. God wants a wife protected, loved and cherished. Not fearful for her life. Mattie’s family loved her, but they made some tough choices themselves. I think about what I would do if someone I loved was in a relationship like Mattie’s. What do you think a family should do when someone they loved is being harmed by the one person who should love and protect them? We had this situation with a daughter. We were on vacation when we learned that our son-in-law had taken all monies from a joint account. Our daughter had written checks for bills and they were destined to bounce. We quickly put money into her account, and then my husband called the father of our son-in-law. He was a reasonable man. These two older men spoke about the situation and agreed our daughter and his son needed to end the marriage. The couple agreed. They separated and locks were changed. The son-in-law broke into the house. Our daughter called us and the police. We got there before the officer did. The officer said he couldn’t make the husband leave. The law was on his side because his driver’s license had the address on it. This guy came from a lovely home, and he had parents we liked and respected. In divorce court, we learned the son-in-law had a history of abusing women. He’d kept it a secret even from his parents. Why? I have no idea, but if an investigation had taken place before marriage, that detail would have emerged. As parents, we were active in supporting our daughter and protecting her. Thank you for sharing your heart. I know that it takes a lot to share family troubles, but your words could help someone who is going through something similar. Will you let our readers know what you’re working on now and what is in store for them in the future from the pen of Gay N. Lewis? I have two Sarah books ready for publication to add to the existing series. My dyslexic angel comes to earth to help humans and she bungles each mission. God gave Sarah empathy for humans. Jesus was the only Divine/Man on earth, but Sarah is given a few earthly traits while she visits us. That’s how she relates to us and our doubts, baubles, and bumbles. I also have a sequel to Mattie’s Choice. It’s going by the title, Rebecca’s Family Secrets. Mattie’s daughter, Rebecca, is the star in this book. It’s pure romance with a great deal of suspense. It’s also historical. There’s no domestic violence in this one. Just pure fun. Thanks for having me. You asked me soul-searching questions, and I enjoyed answering them. Thank you, Gay. I don’t believe I said this to you through our work on this story, but I have, from the start, admired your heart and your tenacity for making sure that those who are suffering from spousal abuse know that there is hope for them. 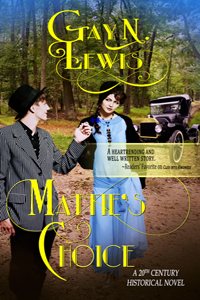 Today’s guest is Mattie Colby from Gay N. Lewis’s novel, Mattie’s Choice. Welcome to Inner Source, Mattie. Would you mind telling us a little about yourself, about your life, and anything else you feel is important for us to know? Thanks for asking me to introduce myself to your readers. I’m a little shy, but I’ll try. My name is Mattie Colby. 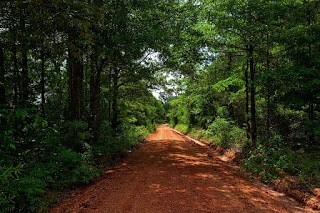 I grew up in a loving home in rural Oklahoma. My father is English and my mother is Cherokee. My dad is a builder, and he patterned our home after Thomas Jefferson’s Monticello. Most of Osage Country admires and envies it. My father acquired land in Oklahoma Territory during the land rush of 1893. My mother’s ancestors endured the Trail of Tears. I have a twin brother, Maury, and three sisters. Maury and I are the first born. By intuition, we know what the other thinks and feels. Maury is my best friend. We were looking forward to graduating high school together, but I eloped with Jesse Colby and quit school. Maury is grieved over it. I love my family and I love my husband. I’ve wanted to be is a wife and mother for as long as I can remember. Maury tells me I shouldn’t have quit school to elope with Jesse, and thinks I should have waited to marry. He even wanted me to go to college with him, but in my day and time, women didn’t have many opportunities. Careers? Those were unheard of. Heavens to Betsy! In 1925, our goal was to become wives and mothers, and that suited me just fine. What about you in your modern day? Have times changed much? Do women have careers in your day? Yes, women have many more opportunities in this age to become anything they want to be. We even have women serving beside men in the battlefields. Not all charges are good, though. For a while, a stay-at-home mother was considered inferior to those who were out in the work force. Along the way, especially in America, we have lost our way. Our children are sometimes not the most important commodity for parents. Slowly, though, some are beginning to realize that raising children is an important task. Your author placed you into the center of a very controversial and difficult subject for an author to tackle. You’re a stubborn lass, Mattie Colby, and you’re made of stronger stuff than I am. You were offered choices to make, but you stayed the course. Tell us why that was important to you. My father taught his children to keep our word. I made a vow to God and Jesse that nothing but death would separate us from our marriage. I was a naïve, seventeen-year-old when I married. My parents had a good marriage and I thought I would too. I didn’t believe anyone’s tales that Jesse had a temper. Looking back on it, I should have investigated more about him. Courted him longer, too. I might have chosen differently if I had, but what was done was done. I gave my word, and that was that. Your sister-in-law, Ella, made a different choice. I got to know you well, and I know that the two of you stayed friends, but I want to know what you were thinking about her choice deep down inside? Now that’s an interesting question. Ella and I are lifelong friends, and we’re opposite in personality. She chose a nursing career while she lived in Galveston, and she continued to work in a hospital after she married Jesse’s brother and moved to Oklahoma. She’s outspoken and opinionated. You always know where you stand with Ella. When she left Oklahoma to move back to Galveston, I admired her. Truth be told, I wished I could escape my life and move far away., too. We had different ideas on commitments, and to this day, I can’t say which one of us was right. In some ways, we both were. I agree with your assessment. You were clearly a victim of historical precepts and interpretation of Scripture. This is something your author, Gay, and I spoke of quite a bit. Shh, don’t tell her, but I agree that there was a time in history where the theological thinking concerning the protection of women, especially in a marital relationship was skewed. In the end, though, I think that your choice took a lot of courage, but if you had to do it over again, would you make the same choice? Your comment about Gay makes me giggle, and I won’t tell her you asked this question. I’m pretty good at keeping secrets. As you know, I kept many over the years. Thank you for saying I have courage. That means a lot to me. Early on in marriage, I was stubborn to a fault. I think my pig-headedness was what kept me going. I didn’t believe my dad would help me, and I learned too late that he would have. I had too much pride to ask for help. Courage? I think I developed it as I grew older. Courage comes with self-confidence, and as I became confident, I became courageous. Does that make sense? If I could do it over, I’d have chosen to become assertive much sooner than I did. Keeping my beliefs and standing up for myself turned out to be the best choice in the long run. Mattie, everyone who reads this blog understands that the verse I stand upon, even when it hurts to grasp hold of it, is Romans 8:28. That does not mean that I approach others who are hurting and declare this truth. I feel that, for the hurting, this verse’s truths can be very hard to grasp, but that very God declared the depth of it when He sent His Son to the cross. That verse tells us that all things work to good to those who know God … So, as a woman who has had a life of extreme hardship I’d like to ask two difficult questions: what good do you see coming from the choice you made, and 2) what good do you believe came from the choice Ella made? Heavens to Betsy! I have to ponder that one. Yes, I had hardship. My husband was not easy to live with. In fact, he was downright awful at times. Life circumstances were difficult, too. The Great Depression, the Dust Bowl, all the world events made life unbearable at times, but my faith grew stronger through the trials. That was a good thing. Some, like Jesse, grew angry with God. I chose to stay close to Him and trust. Another good thing. My marriage with Jesse brought me eight children. Eight blessings. And guess what? Every one of them are productive, successful, God-fearing adults. Four are in the ministry. Like a rock thrown into water, the circle grows bigger, and in my case, a lot of good is in the circle. Good came from Ella’s choice too. After seeing the way most of us women lived in our day, she started women’s shelters in Texas and became a crusader for women’s rights. I think all contemporary women owe Ella and women like her a debt of gratitude. Their lives are easier, thanks to Ella and others like her. You are so right about Romans 8:28. I can look back on my life now and see the good God brought about with Ella’s and my choices. I believe I won’t see all the good until heaven. Scripture tells us our works follow us. Revelation 14:13 says, “…Yea, saith the Spirit, that they may rest from their labours; and their works follow them.” KJV To me, this means that what we do here continues to influence, bad or good, to those who come after us—like that rock thrown into water, impact lasts, good and bad. What I began with my children carries on to future generations, and most of it was good. Same with Ella. Women will continue to be helped with better lives as a result of her influence. I believe we both did more good to follow us than we did bad. Mattie, thank you for being with us today. On Wednesday, your author, Gay, will be sharing a little more behind the inspiration for your novel.